We, Venkatramana Jewels, have acquired the reputation of being one of the leading Fashion Wire Wrap Earrings Manufacturers in India. We are a prominent Wire Wrap Earrings Supplier and Exporter. 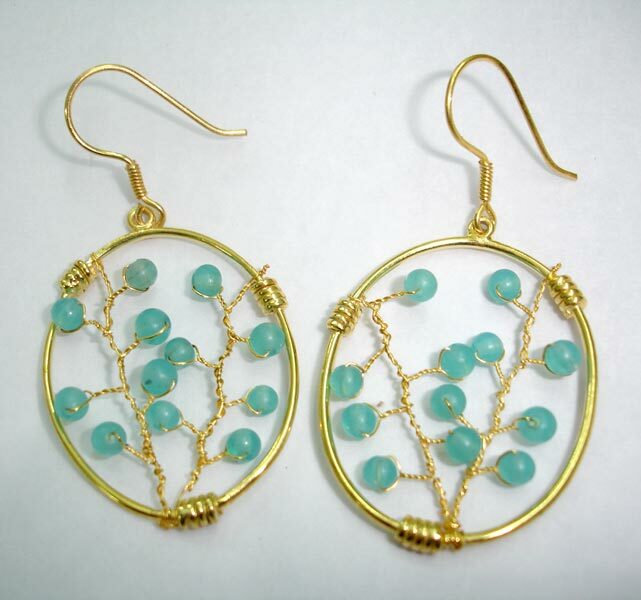 Our company offers gorgeous Wire Wrap Earrings to both Indian and international markets. The Wire Wrap Earrings that we manufacture are intricately made by wrapping metallic wire in attractive shapes. Our Wire Wrap Earrings are embellished with colourful beads that give them a unique appeal. Our Wire Wrap Earrings very durable as well. Our company is backed by a strong logistics team that maintains bulk stocks of our products and ensures safe and timely deliveries at your doorstep. Wire Wrap Earrings can be bought from us at nominal rates.